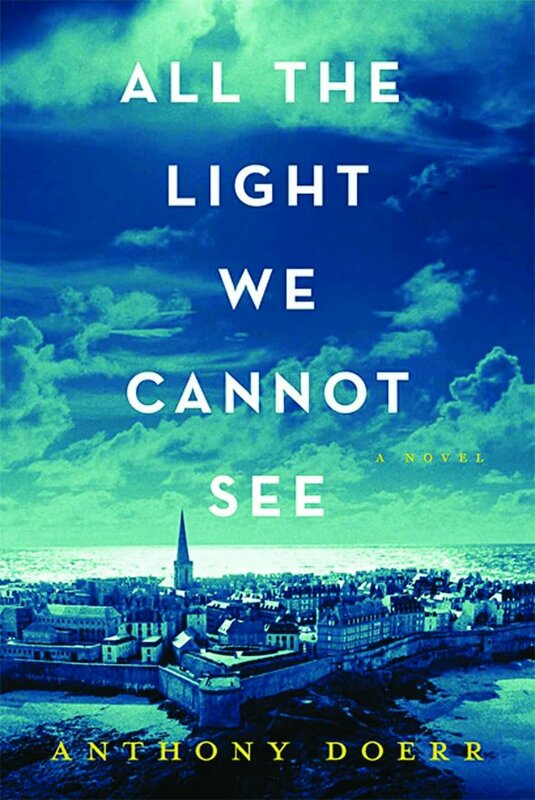 Just the other day I finished reading Anthony Doerr’s “All the light we cannot see.” This is one of those rare books that incorporate everything and forms perfection. It is beautifully written, almost hauntingly so, it has a great story, it touches upon the concepts of humanity, philosophy, love, what makes humans human – and what turns them evil … In all, this goes on the perfection shelf, and it has left me changed. As I have mentioned before, this is what great literature does. It changes you and it stays with you forever. Even in the maelstroms of my very busy life, part of me is still sitting silently with Marie-Laure on the secret beach feeling the water slip back and forth over my bare feet, touching the world she will never see. Part of me still cries for the loss of the world, for the cruelty and the people pushed by fate to live in fear and longing. Anthony Doerr writes in a voice that melts into your very soul and stays with you forever. In the blink of an eye, he’s become one of my favorite authors. His other books are now lined up for me to read, and I suspect they’ll be just as beautiful. Another rare gem of perfection, an addictive Sea of Flames, this work reminds you of the humanity of history, how it wasn’t merely historic facts but real people who lived through this chaos and cruelty in our world, and not really so long ago. Where would you be in this, you ask yourself in the midst of this story. Wouldn’t you, too, try to hang on to your part of the world, having a hard time seeing it all from above. It is so easy, too easy, to see this once removed several decades from its whirlwind of events, but being in the middle of it, chaos consumes you. Back to the literature, the art of it. This is what it does. It engulfs you and becomes so much more than printed words and a story. It moves you, touches you, makes you think and feel, and it changes your tiny cocoon of a world here and now. It moves from print to emotion to thought to world-changer. This is the life of literature. I know there are people out there criticizing Anthony Doerr for normalizing and aesthetizising the Second World War with this book. I believe they are wrong. There is nothing normalized or beautified in this book. Quite the opposite. The horrors, the animalism and barbarism stand out clearly, it shocks, appalls and leaves you cold. With the underlying beauty and love that follow Werner, Jutta, Marie-Laure and the others, the horrors of the war itself, the killings, the torture and cold hate stands out even more clearly. And this is what fiction does compared to faction! Reading a list of facts on the war would never move you like Anthony Doerr’s story does, and this exactly is the power of aesthetics. Yes, his writing portrays Werner as a gentle soul despite the fact that he is trained as one of Hitler’s boys, and yes, he fights for the German side, but this is the point of it all! The people who fought, the boys who joined and found it glorious, how would they have been able to see it all decades removed and from above for a bigger picture? They didn’t have the time, perspective and history we have today. They wouldn’t have had the means to judge. This exactly makes it all the more realistic, the beauty enhancing the horror of it all – being right in the middle of this.